I thought it would be fun to tell this from Uhura’s point of view–that’s such a great screen cap of her! (Thanks Star Trek Core!) 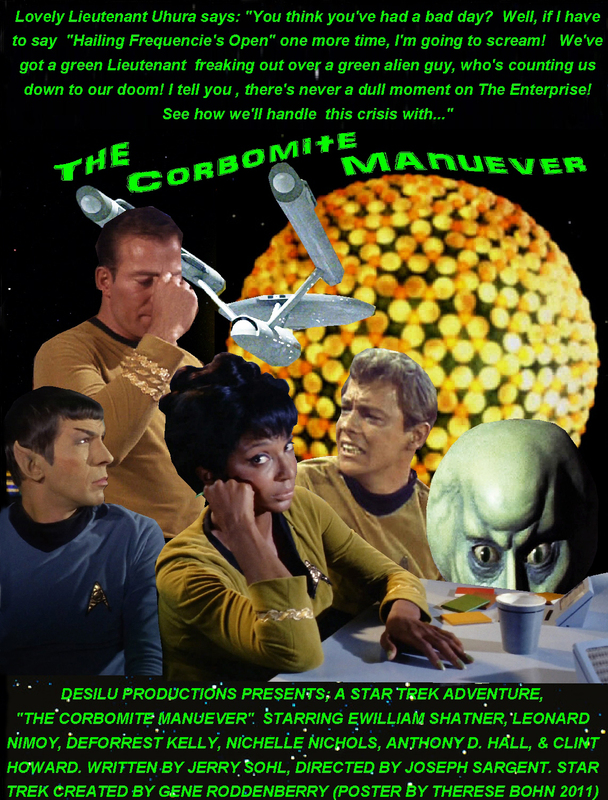 This was the only episode where Lt. Uhura wore Command Yellow. And note Balok peeking over her desk! This entry was posted in My Star Trek Posters, Star Trek: The Original Series and tagged Gene Roddenberry, Kirk, Leonard Nimoy, Star Trek, The Corbomite Manuever, Therese Bohn, Uhura, WIlliam Shatner. Bookmark the permalink.